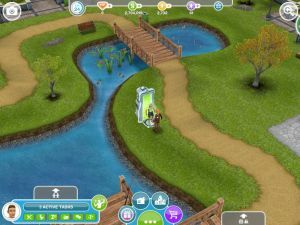 The Seniors Quest allows you to Age your Sim up to the senior age level and straight into Retirement. If you can complete it within the limited time of 4 days then you can also unlock a snazzy exercise bike too. Here is a rundown of what you need to do to complete this Quest, with anything complicated explained in detail. You'll find them just outside the Swim Center. 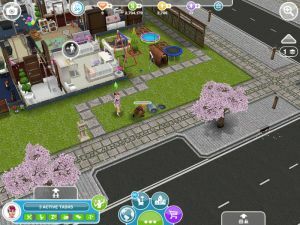 The game may say your Sim is too young to complete the task, but it should move you on anyway. Tap the pigeons again and choose the investigate option. You can't miss this one, it's a futuristic looking door in the middle of the Park. Just tap him and select the option. Tap the crate/soap box in the Park to to this. 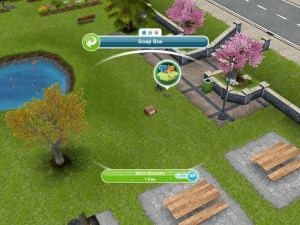 Send your Sim home, kick over the trash can outisde the house and search through the garbage for the cupcake. 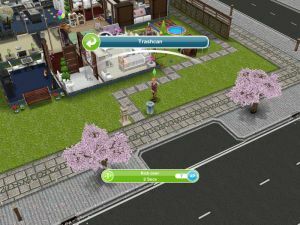 Go to another house, call your Sim, then kick over the trashcan and search for cupcakes again. Tap the knocked over trash can and select the dispose of cupcake option. 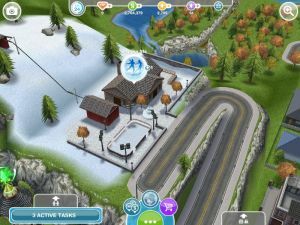 Go to the Park and whistle for your original SIm (that opened the door in the park earlier). 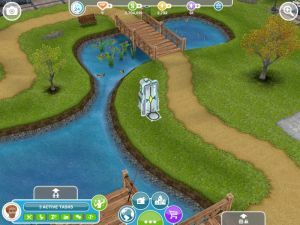 Tap the Senior Sim that should still be standing in the futuristic door in the middle of the Park. 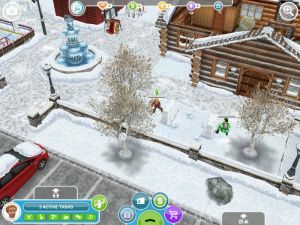 You can do that right there in the Park, just tap the Senior Sim again, and the Dance option will be available. Okay we've done this soooo many times already! 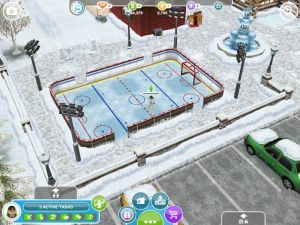 Tap in the center of the Ice Hockey Rink and the Ice Skating option will be there. 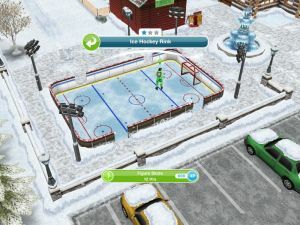 Your SIm will be participating in the Figure Skating Hobby by doing this task. Incidently by completing the first 12 Figure Skating Medals you'll get access to the SKi Lift! 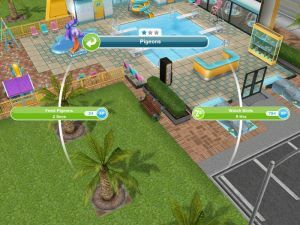 At the Park, whistle for your Sim, tap the senior, and select the Be Nice option. 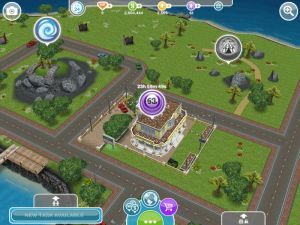 Head over to Mystery Island and locate the icon for the Bingo Hall (it's a ball with a number in it). And start building the Bingo Hall. 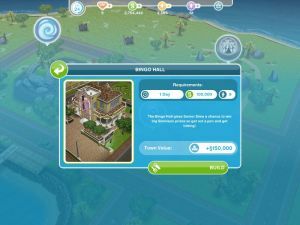 Remember you can only have one building being build at the same time (unless the other one is a house). 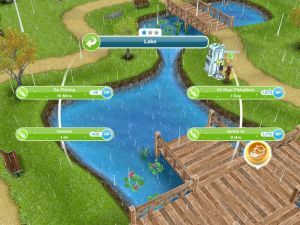 You do this at the Lake in the Park, find the click zone which brings up the Fishing options and click the one which says 24 hours Fishathon. This is a Hobby action. 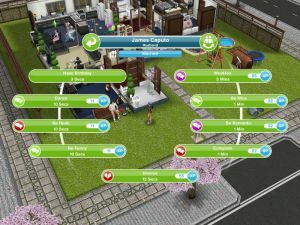 You'll need two married Sims to complete this task. And that is the end of this Quest. You can now turn your Adult Sims into seniors. You'll still need a birthday cake to do this though. 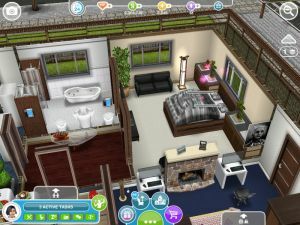 If you did this within the Limited Time, you have also unlocked the exercise bike which is available in the Home Store > Furniture > Electronics. The Bird Feeding Quest is Next - Hang on to your horses!